Hi guys! This is a rough guide of places to go, eat, and visit if you want to visit Toyko, compiled from several of my colleagues and friends who visited it recently. Hope this is helpful, enjoy! Take the JR Yamanote Line from Shinjuku Station to Hamamatsucho Station (25 minutes, 200 yen) and transfer to the Tokyo Monorail to Haneda Airport (20 minutes, 490 yen). Instead of the Yamanote Line you can also take the Oedo Subway Line between Shinjuku and Daimon Station just next to Hamamatsucho Station (15 minutes, 210 yen). Lotteria cheese burger for snack – Best. fast. food. burger. Food stuff not sure but quite fun to take the different modes of transport. For brunch, go to Midori Sushi. The Shibuya outlet is inside a shopping centre called Mark City. If you are going that outlet, must go early like 1030am sharp. They open at 11am so you get in for the first sitting, if not have to queue for a long time. Tokyu Hands Takashimaya (Shinjuku South Exit) – can skip if not crafty. Early dinner of tsukemen at Fu Un Ji at Shinjuku which was so good! Visited Akhibahra's Yodabashi Camera for my tech needs. Audiotechica earphones are cheap and very good quality. Yasukuni Shrine is located a short walk from Kudanshita Station on the Hanzomon, Tozai and Shinjuku Subway Lines. Take the Marunouchi Subway Line from Tokyo Station to Otemachi (1 minute) and then the Hanzomon Subway Line to Kudanshita Station (4 minutes). The one way fare is 170 yen. Take the Shinjuku Subway Line directly from Shinjuku to Kudanshita Station. The one way trip takes 8 minutes and costs 210 yen. The Yurakucho District surrounds Yurakucho Station on the JR Yamanote Line, the JR Keihin-Tohoku Line and the Yurakucho Subway Line. The area is also accessible via Ginza Station on the Marunouchi and Hibiya Subway lines, and Hibiya Station on the Hibiya Subway line. *I think it's not mind blowing but still pretty good; if you like thin ramen noodles which Kyuushu is known for, then you'll like it. Affordable, fresh, very delicious. It's a chain, but it's the most delicious chain you'll ever come across. 3. 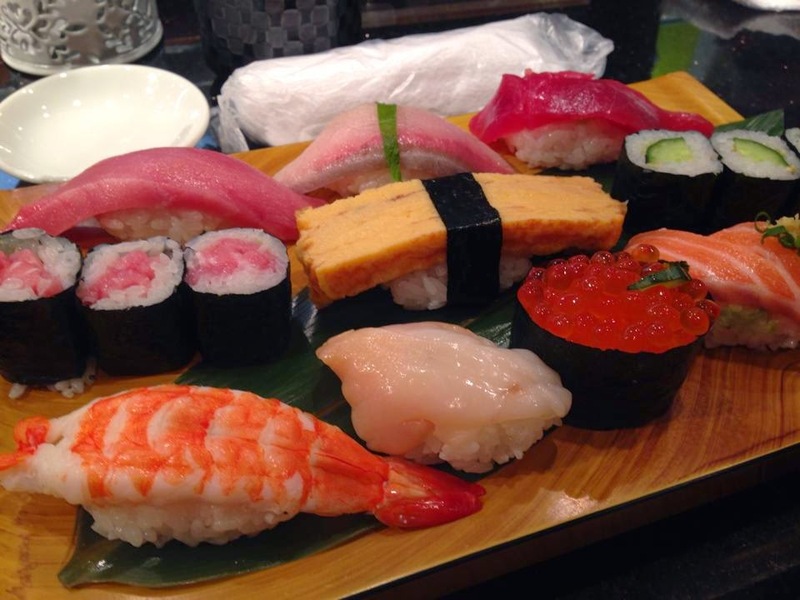 Sushi Bun 鮨文 – If you're going to Tsukiji; but don't go too late. They close by early afternoon. You will read about others like Sushi Daiwa and Sushi Dai, but Sushi Bun is better than both for my colleague. 4. Ganso Sushi 元祖寿司 (Shinjuku South Exit) -- many other outlets across the country across the road- it's beside yoshinoya. Many Singaporeans kept eating here because it's 2 mins away from Sunroute Shinjuku hehe. The tofu and spicy soup base are the yummiest. 1. Daikokuya 大黒家 – Different kind of tempura because they fry it in a special sauce. Still delicious. All the above are in Asakusa, an area you should check out; it'll bring you back to olden Tokyo days. 1. Harajuku Gyozaro - This will make a nice pit stop when you're around Harajuku/Omotesando. It's not the easiest to find but they've been referred to as best gyoza in Tokyo. I like it but it won't blow your mind away. It is after all, gyoza. Go to Maisen (tonkatsu) or le bretagne (crepe) for lunch, then go to OK right behind maisen for a hot cup of coffee to hold in the wintry weather as you burabura around the area. You can go to Arms Burger for lunch then Little Nap is just down the same lane. Can grab a coffee and walk through Yoyogi park to Harajuku. Go Harajuku area on Sunday, there will be more people doing cosplay. They used to gather outside Meiji-Jingu and people can take pics with them but not anymore. Hope you found this useful! I'm coming up with a 2017 edition very soon.